No visit to San Antonio would be complete, of course, without a visit to the Alamo. 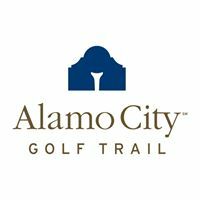 But after seeing this significant piece of Texas' history, golfers should sample the Alamo City Golf Trail, which serves up seven varied courses that wend their way through and around San Antonio. One of the courses on the trail, Brackenridge Park Golf Course-known as "Old Brack"-was designed by one of the great course designers of all time, A.W. Tillinghast. Old Brack was renovated in 2008, and Tillinghast's original routing was restored. Phase One of the Texas Golf Hall of Fame is also located onsite. So golfers now have more to remember than the Alamo after visiting San Antonio and the Alamo City Golf Trail.